It's that time again folks, Scott here with the top 5 forum threads of the week. Coming up: what is the best Android game of all time, top 5 travel apps for the summer, dreadful Samsung Galaxy S3 battery life problems, and the story you've all be waiting for - how to take screenshots with the Samsung Galaxy Note 2! 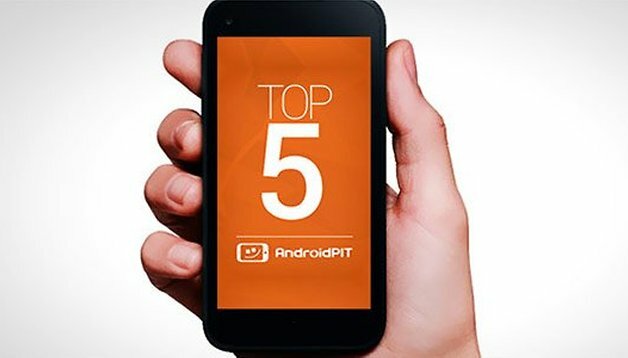 You're always welcome to get involved with what's happening in our AndroidPIT forum yourself - we don't bite. What are the best android games OF ALL TIME? Never one to shy away from the big questions, Loie prompted debate on the challenging subject of best Android games, and we struggled to find a concrete answer. We realize that Android's history, comparative to the entire history of the Universe, is relatively brief. Nonetheless, the question remains and we want know YOUR thoughts on what the best game released for Android EVER is. Is it Grand Theft Auto: Vice City? That sounds right. But it doesn't really feel right. The jury's still out on this one. I produced a list of some handy apps for you to use on your travels this summer. I wasn't even aware of a few of these until I looked them up, and I was surprised at just how sophisticated these type of apps have become. TripIt I find particularly clever, as it compiles data from your emails to produce an automatic schedule for you. Did we miss any other impressive travel apps? It's amazing how popular the Samsung Galaxy Note 2 still is. And even more interesting is how many people are still unaware of how to take a screenshot with it! Fortunately, I'm brilliant at taking screenshots, so I've provided a short how-to for you all. Well done me. Can you schedule WiFi to save battery life? One of forum members wanted to know if they could schedule their WiFi to turn off, instead of having it running when it's not in use. Is this possible through the use of an app? Something in the settings? Or magic? They asked. It's a question we were interested in also, and it's particlualry relevant for those with older handsets which are crippled by short battery life. Do you have any thoughts on what the best solution for automating WiFi is? Why does my Samsung Galaxy S3 batter life drain so fast? Another battery related issue, this time on the Samsung Galaxy S3. We have written numerous guides on how to save battery life, but this problem was slightly different. One of our user's Galaxy S3 was leaking juice at an astounding rate soon after they got their hands dirty with a custom rom (check out our beginners guide to installing custom roms, if you want to do it properly). Luckily we had some great mods on hand to help them out. What's the best device to get your Android gaming on? As most of us today are always on the go, travel apps are very essential as they make our trip faster, easier and more convenient. They help us reach at our destination without a sweat.